Traditional acupuncture is carried out by inserting very fine needles into the body at target points throughout the body. However, modern advancements in laser technology have allowed acupuncture to appeal to a wider population. Laser therapy has become a popular method of treatment among children and newborn due to being completely painless and extremely effective. It utilizes infrared light from a small device to target therapeutic points relevant to the treatment. Children are very comfortable and responsive to this type of treatment because it doesn’t involve needles but is just as effective. Pediatric laser acupuncture is very effective for eczema, allergies (food and environmental), colds and flus, irregular and unhealthy sleep schedules, ADD/ADHD, and many other conditions that adults also experience. Remember, acupuncture is a natural medicine that assists the body to make changes and stimulate the healing process. 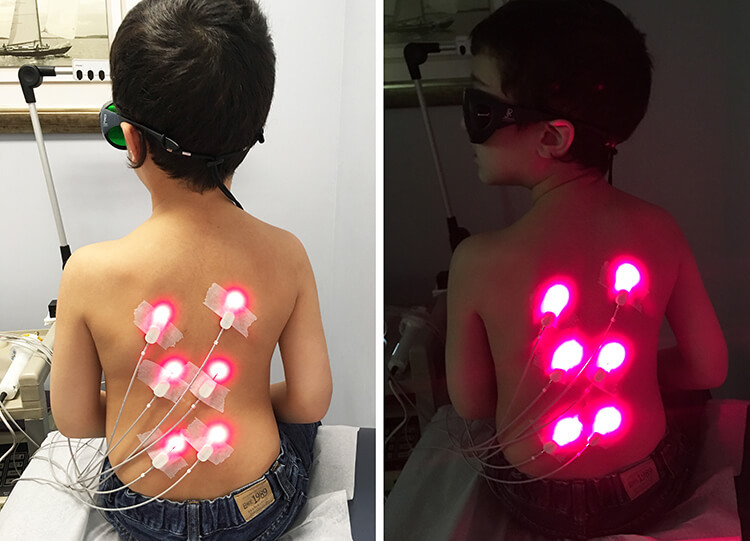 A recent study conducted by Dr. Orhan Koca revealed that pediatric laser acupuncture can prevent bed-wetting, which is an often embarrassing problem for both the parents and children. The study involved 91 children suffering from bed-wetting who underwent four weeks of laser therapy that targeted points linked to the bladder, thus increasing nerve stimulation and relaxing the bladder. After just the four weeks of treatment, 40% of the children stopped bed-wetting. Pediatric acupuncture, specifically laser acupuncture, is sought out by parents for their young ones because it is very effective in treating and preventing a wide array of pediatric illnesses and challenges. In addition, pediatric laser acupuncture is a great substitute for pharmaceuticals and supplements for a growing child. It is a safe and painless way to assist and boost your children’s health and overall well-being.